Today I was trying to build a flow that kicked off from the Flow Launch Panel in my library. To do this for a list you simply need to create a flow based on the trigger “for selected item”. Once published the Flow Launch Panel is enabled on the list and you can now launch any flows that are attached to the list manually. You can do this for a library as well. The difference however is for a library you want to use “for selected file”. Seems really straight forward and easy right? Sure if it worked as expected. The fix\workaround is so simple I hope Microsoft can fix it soon. To select the missing trigger, DON’T select SharePoint as the platform. When you start to type in your filter, it will actually show up before the “for selected item” trigger. When the business wants to control the data that is displayed to users a great way to do this is with content approval. It’s easy to implement and use. Simply enable the option in version control and anyone with Full Control, Design or Approve role is able to approve the items. There is a great write-up by Chakkaradeep Chandran on how to automate the approval process of these items. However, what Microsft Flow is missing is the ability to see what status the approval process is at. There are many requests for this information in the Flow forums with no solutions beyond statements that Flow is lacking in this ability. I was able to come up with a working solution to achieve this. 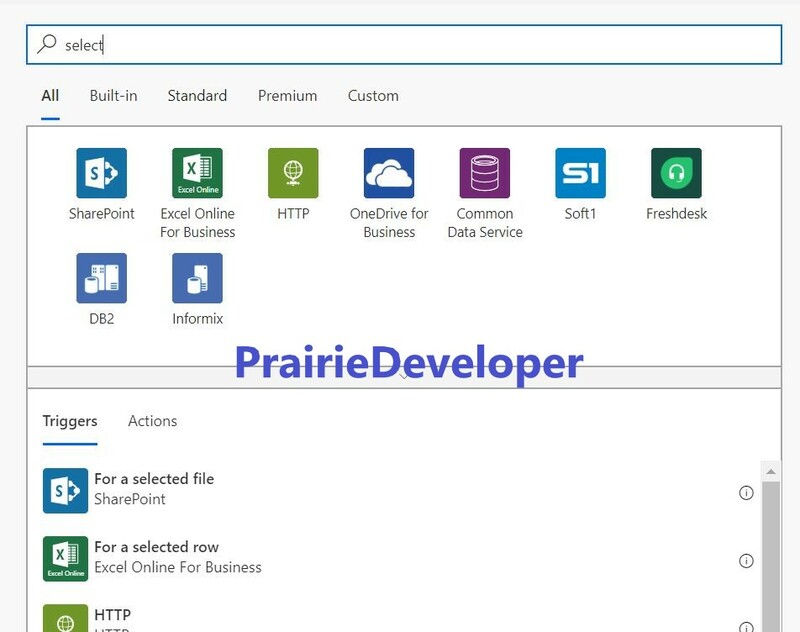 So read on to learn how to determine the approval status of a SharePoint list or library item. The other day a friend of mine, Daniel Glen, asked if I could step in last minute to help out remotely for a presentation to the Nashville O365 User Group. I of course said yes and then promptly dumped all the stuff I had to do that night on my wife (oops). I sent Daniel the tickle trunk of presentations that I was ready to do last minute and I was surprised when he selected Leading Practices for Building Anything SharePoint or O365. It’s an older presentation and one I was actually considering pulling out of my active list. However, as I was reviewing it I found that the core of the presentation still held true with anything you should do with O365 and SharePoint. In many cases, any project could use some or all of the concepts I discussed. Well the presentation went over very well. It’s a really good group of people there in Nashville and even though I was 2600km (1615+) miles away I can honestly say that session was the most fun I have had yet giving that presentation. Thanks Nashville. Let me know when you need another speaker. As promised, here’s a copy of the slide deck. Now that I have completed my series on building a modern solution with SharePoint, PowerApps and Flow I want to start building on that solution. The next enhancement I wanted to do was allow the capture comments from the approver in Microsoft Flow. So whether the approver approved or rejected the request I want to be able to capture the comments if they provided any. Because this is building on my previous solution you can see how that was built by clicking here.